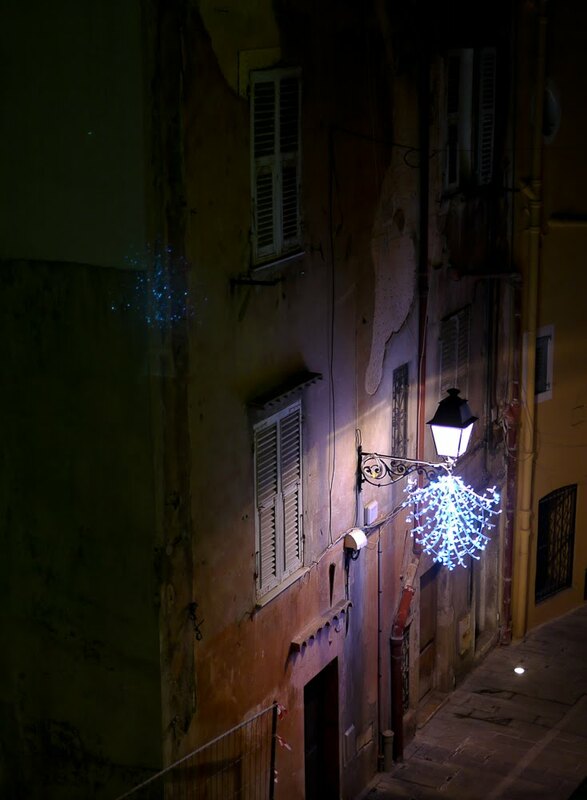 Subtle Christmas lights on Rue Longue in the Old Town. 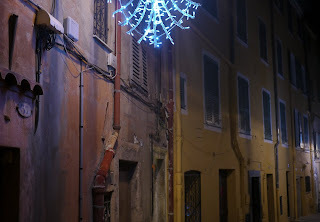 Subtiles lumières de Noël sur la rue Longue dans la vieille ville. Loin des "marchands" et avec des coeurs d'enfants: Preuve(s) est faite avec cette photo qu'il n'est point besoin de grandes "illuminations" pour restituer cette magie de Noël. My favorite Christmas photo yet, Bravo!!! Your photo shows a very different approach to Christmas lights than the post today on Sharon's Phoenix Daily Photo side. I like the Christmas lights in yours much, much better. This Christmas light looked surreal with your first photo of it in daylight - I was not too fond of it, and now it still looks surreal in an other worldly kind of way. Very nice! A little Christmas light and a usual place becomes magic! Thank you so much for this beautiful visit to the Rue Longue, Jilly. 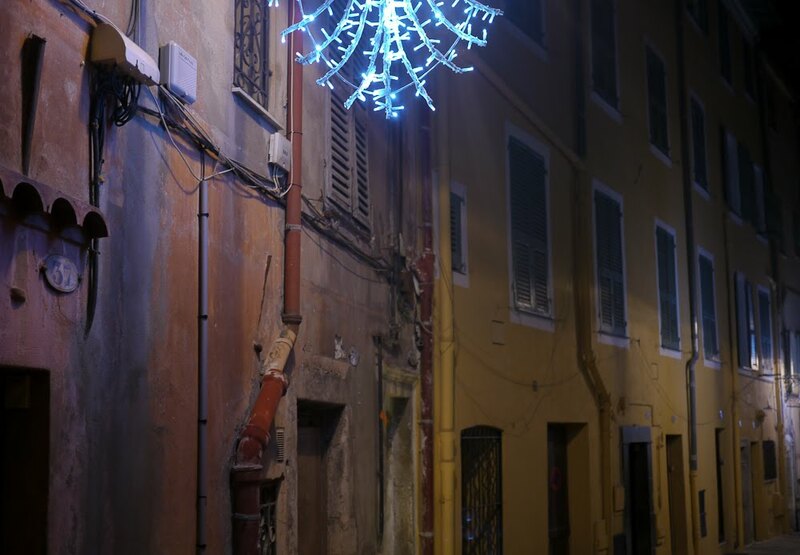 Menton is magical at Christmas. It brings back wonderful memories of our sojourn there. It was before the renovation, and there was a narrow curb that disappeared in some places. If a car came down the street we had to jump into someone's doorway to get out of the way. I am sure this is much better for drivers and pedestrians, but I somehow miss the old mess that it was. Karen, I'm so sad to see the new paving and now there is no curb. I so wish the powers that be had chosen beautiful old cobbles. So I agree with you. Thanks so much everyone for the comments on this photo. It's my favourite too but it pleases me so much you feel the same. Et Jean-Paul, je suis d'accord avec vous. Merci. You were flying on your fairy wings to make the first image, right? Ambient night and melacholy feeling imbued in the air. Tony's right of course. C'est parfait! Others have used the word "magic," and I agree.